Website Hosting & Maintenance | Houston Web Design and Hosting, Inc.
Website hosting from Houston Web Design and Hosting is more than just our last name, and definitely not an after thought. 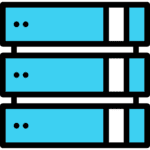 A great website needs a great hosting platform; one that runs fast, keeps your content secure and safe from hackers, one that won't be offline when your customers arrive ready to read your information. Google ranks websites higher when they load fast and they favor websites that have https:// SSL certificates. Recently Facebook even announced they will show links to websites less often if they are slow loading. Why build a great website then lose traffic to your competition because you opted for cheap hosting that hurts your search engine ranking? A great website deserves the best hosting and that's why we don't mess around when it comes to hosting your website.